Home/Wholesale/Cozy Baby Blanket - 38" x 31"
Minimum quantity for "Cozy Baby Blanket - 38" x 31"" is 1. 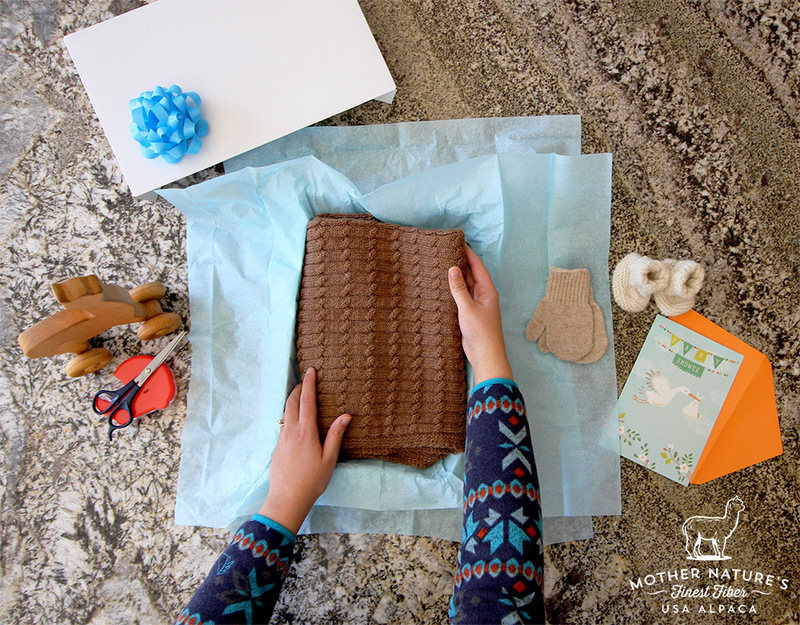 Our Cozy Baby Blanket was first introduced at the end of 2017 and has become a big hit in short order. This blanket showcases some of the softest alpaca fiber grown across the country and is utilized in an heirloom quality cable knit pattern. Soft, warm, and as cozy as the alpaca themselves - perfect to wrap a precious little one up in as they fall asleep dreaming of pronking crias. 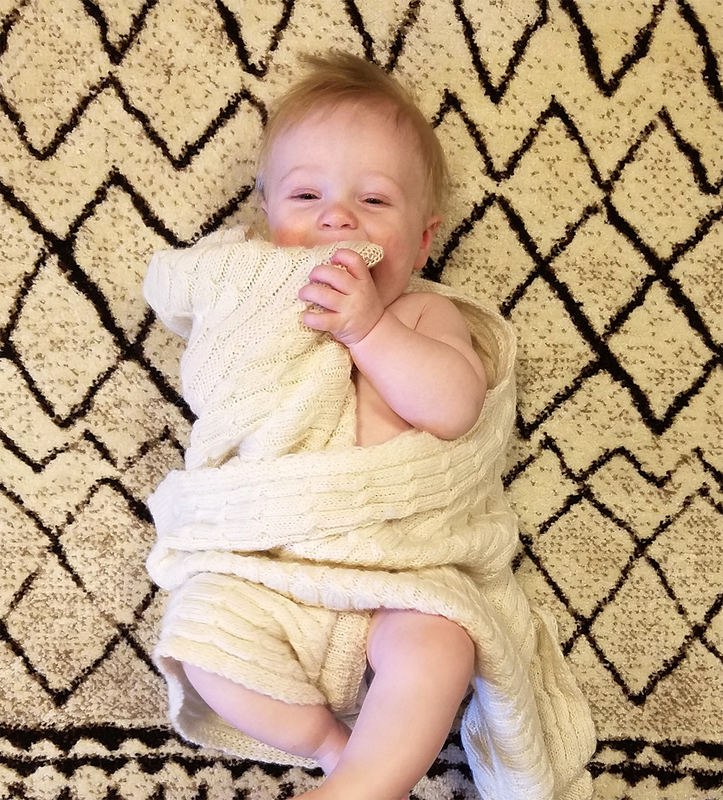 Alpaca fiber’s natural thermal characteristics, breathability, and moisture wicking properties all lend a helping hand in keeping your snoozing little one safe and sound in dream land. 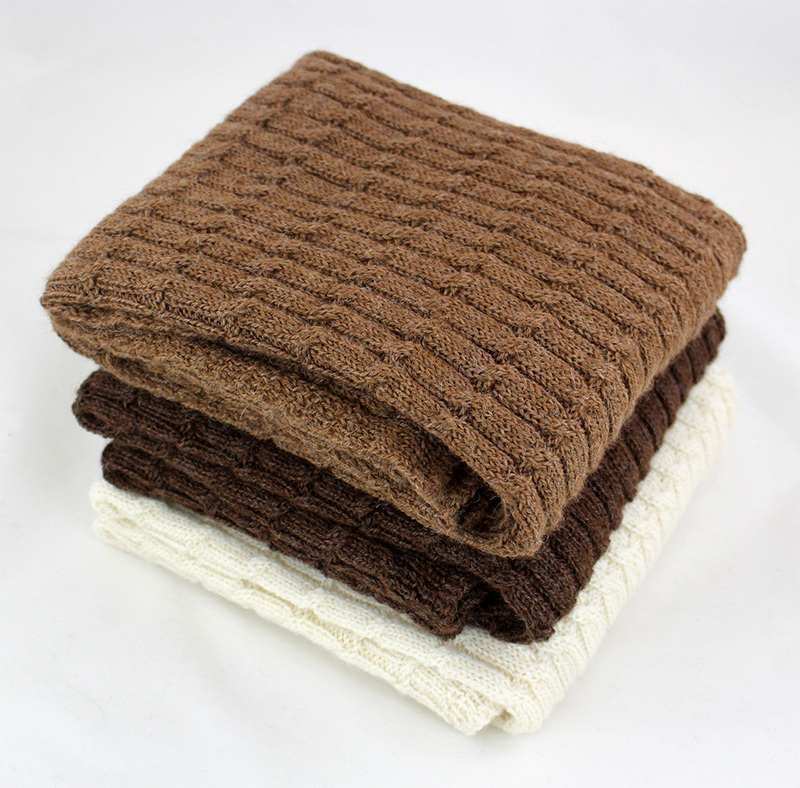 Perfectly sized for baby and available in three stunning natural colors: Dark Fawn, Brown, & White. In a world filled with imported, low quality gifts this Cozy Baby Blanket is sure to stand out in a crowd and be truly appreciated for years to come. If your customers are looking for unique, one of a kind, quality items that have a backstory that feels as good as the item itself, then this is a must have in your farm store!